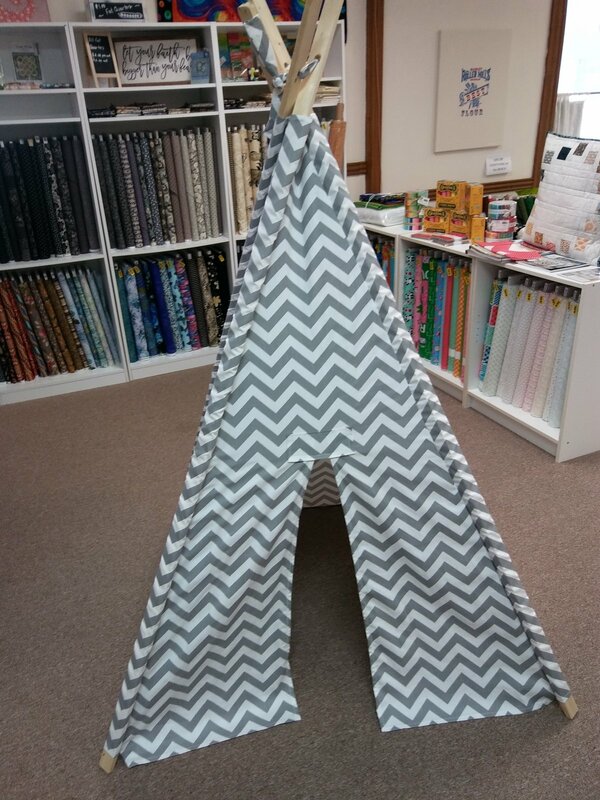 This kids teepee is made from Premier Prints' Zigzag Storm Twill cotton. The wood Poles are sanded pine. The teepee measures 40" square at the base and stands approximately 5' when fully opened. Shipping is free. Made to Order ready to ship in 3-5 days.